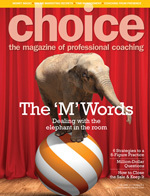 Choosing the right training, coaching and consulting company is an important task. You deserve to receive maximum results for your staff, your clients and for your own personal growth. Does the training company guarantee 'Permanent Positive Change' for program participants? In other words, do the programs guarantee that you and your people will experience change of unconstructive behaviours, habits and actions into permanent positive ones? 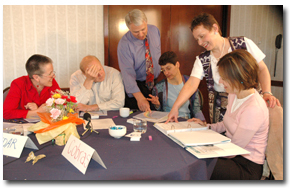 Does the training company offer the means to measure the success of your desired training programs? Has the training company researched and developed tools that go way beyond theory and provide step-by-step instructions on how to master the skill set of dramatically improving performance in the workplace? Does the training company assist you and your people in becoming a 'Genius Thinker' - someone who can think like an Einstein or da Vinci everyday? Does the training company offer you a variety of tools to successfully deal with universal challenges -tools designed to remove roadblocks to technical business issues such as time management and tools which can prevent complex situations such as harassment and overt control. Coaching and Leadership offers you all of the above and more. On the sidebar, click on 'Discuss Your Options with CLI' to arrange a telemeeting. You may also wish to click on 'Free Brochure' for a copy of CLI's brochure outlining Corporate Programs.